Amethyst, White plus another color. Stamps: Stampabilities, Gruffies, by Jareckie Designs, HMD, called "Lilac Bouquet", featuring Pebble, #KR1050, from the year 2007. There is lots amazing inspiration by my mega talented Mousey Teamies along with some fabulous sponsored prizes up for grabs. Come and join us at HMFMC! 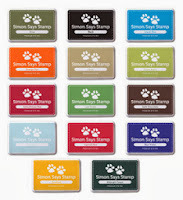 We are very excited about this fabulous sponsored prize from Simon Says Stamp. They are generously giving away a RANDOM ASSORTMENT of some of their Premium Dye Ink Pads to one very lucky player! Fab Prizes, heh?? Come and play along for your chance to win! Here is the LINK! I can smell those lilacs every time I see one of these stamps done up. Gorgeous coloring and love the tri colored ribbons, so pretty. Background papers are awesome too. So pretty. America, this is so very pretty and your bows are just gorgeous. Yor paper choices are also very sweet. I just received some circa 2007 stamps that I'm going to ink up real soon. Wishing you a fantastic day. this is so sweet and beautiful America. This is a gorgeous card America, fabulous Gruffies image and wonderful design - I just love your fabulous bow. Oh what a wonderful sweet card. What a fun card! I like all that ribbon and great flowered border. Gorgeous card, America! I love your bow and all the ribbons added! I can just smell those gorgeous lilacs! This is gorgeous America. I love the gorgeous coloring. WOW - love those bright colors!! And the boarder is perfect! A very pretty creation, love your image and the design is gorgeous. I used this WONDERFUL image - the one you sent to me for my challenge card this month as well!! Thank you again for the stamps. Cute card America. 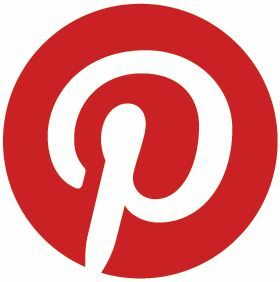 Just wanted to let you know I nominated you for the Liebster Award....it is suppose to bring you more blogging friends. You answer my questions, and nominate some friends of yours. Just paying it forward.